There has been a lot of researches done on how happiness works. Recently, a lot of the results have been showcasing promise and very interesting elements. What you will find is that happiness can be linked to kindness, amongst other things. Most recently, psychologists studied individuals across several different backgrounds, and the results seemed to indicate that acts of kindness could very well change the scope of mental wellbeing in so many different areas. Here is on of the studies published in The Journal of Social Psychology: Acts of Kindness and Acts of Novelty Effect Life Satisfaction. Even though many don’t find this to be a perfect science, it’s been a major point of interest in philosophy and religion for centuries. Whether you’re a believer or not, you can truly say that being kind has many rewards. Now that’s something very interesting to consider. But how does it all work, and what qualifies as an act of this nature? 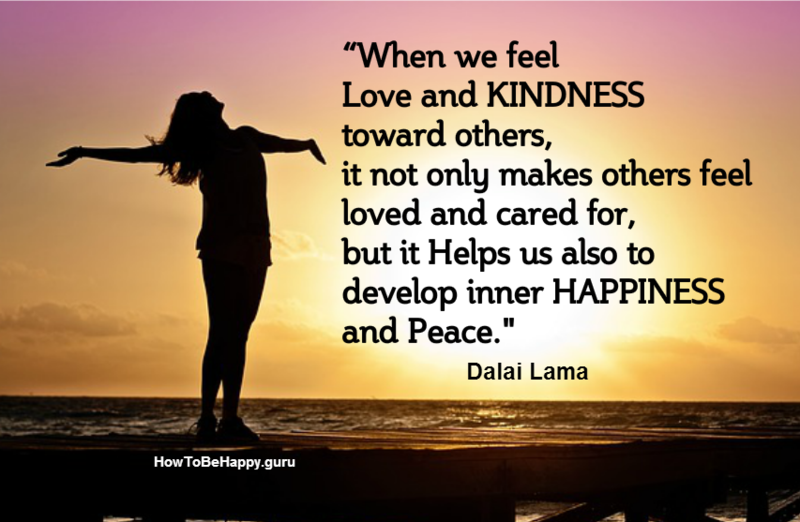 Why kindness makes you happier? Where do the body and mind connect? 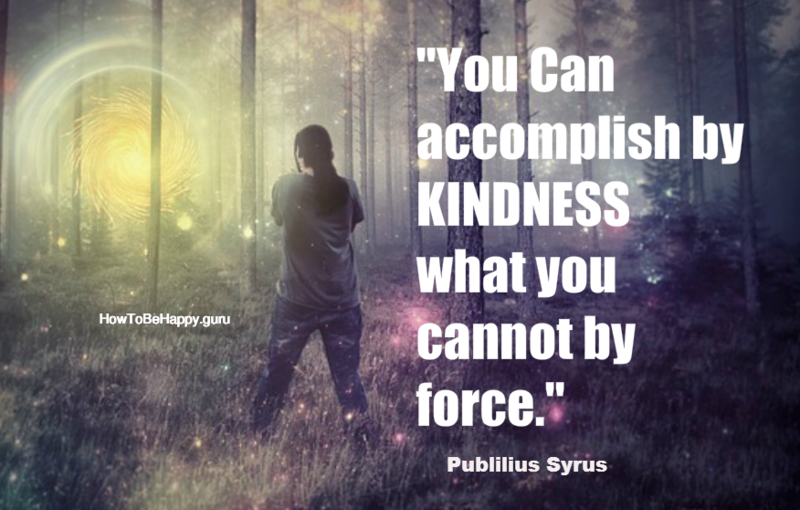 Exploring these concepts can shine a light on why kindness makes you happier and could very well make you healthy as well. First and foremost, consider the brain for a moment. The brain is responsible for a lot. It’s a supercomputer that is never going to be fully understood. There are elements that people spend their whole lives studying, and yet don’t figure out everything. Within the confines of the brain, you’ll find that chemical releases are found. Chemical releases such as serotonin can promote mood elevation. Well, when someone gives, out of the goodness of their heart, something as simple as a helping hand the brain reacts in a positive manner. Dopamine rushes through the body, and the brain signals a certain type of “high” or elation as a result. Professionals call this a “helper’s high”, and it’s something that truly manifests a great deal of beauty for helpers. If the brain elements don’t sway you, consider the heart for a moment. You may see manifestations of this in art and literature, but you’ll want to look at it from a medical perspective. The heart beats and transfers blood through the body. When you look at kindness from the heart’s physiological elements, you’ll find that cardiovascular health changes. That’s right, the body responds to the “high” mentioned above, and actually improves heart rate, circulation, and reduces hypertension. Nitric oxide is what is released here, and that helps expand the vessels that can restrict pressure. Simply put, you’ll be able to process more blood efficiently when the brain sends a message of positivity through sharing. The heart seems to expand and relieve pressure when you are nicer. You might also like to read: Gratitude helps keep our hearts healthy. 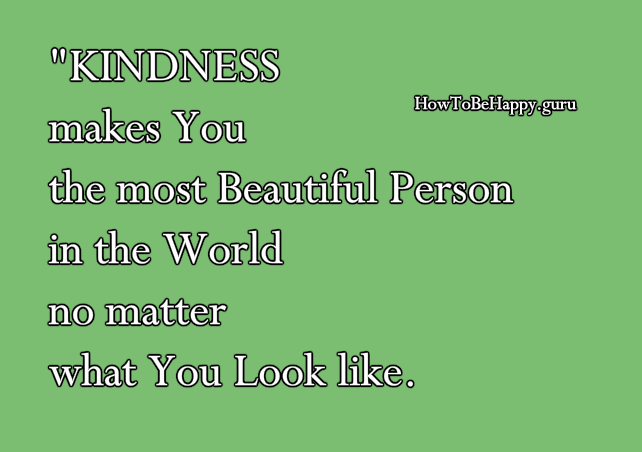 “KINDNESS makes You the most Beautiful Person in the World no matter what You Look like. People think that the answer is found in harsh chemicals, spa treatments, and surgical routines. What may actually change how you see aging is simply giving from the heart. When you give from your heart, you will see that inflammation is reduced in and around the many areas that you would normally age in. That means the body will literally slow the aging process. This may seem like an insane thing, but research indicates that a lower inflammation rate as an asset to the cardiovascular system proves seriously beneficial to the goal of reducing signs of aging. You could very well be forever young as a result of being kind to others. It may not be the fountain of youth, but it most certainly seems to help. Millions of people right now are trying to go viral with videos, music and photographs. You may have seen this happen in the news, or on social media. People seem to try and rush to finding this solution and figure out whether or not they can make moves in this world. Going viral is not easy. However, when you are kind and really earnest about your life, you will find that it can very well go viral in a different way. When you push kindness as a major part of your daily routine, you will inspire others, and they too will try to touch others. It’s an infectious thing that reaches to the depths of people’s hearts. There’s a reason why volunteer opportunities usually bring out a lot of people, and it’s simply because it’s infectious to be kind, happy, positive, and give to others. One of the hardest things to deal with for people is constant depression and anxiety. That’s something that is definitely not going to be easy to bounce back from. Researchers studying these two elements of the human condition have found that by doing acts of kindness, the issues with depression and anxiety start to dissipate. In fact, the more a person gives to the community, the less the symptoms seemed to manifest. There’s a clear correlation between giving and changing the chemical balances of the brain. Often people are prescribed medications to deal with these issues, but more and more psychologists are starting to focus on recommending volunteering opportunities to assist with therapy. Here is another study published on rd.springer.com: Kindness reduces avoidance goals in socially anxious individuals. 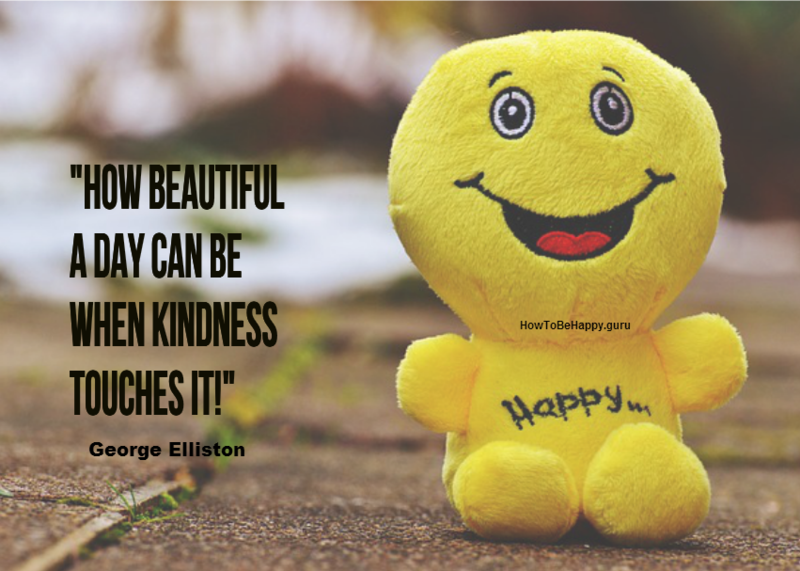 There are going to be skeptics that will not believe there is any sort of correlation between kindness and happiness. However, science, psychology, research, and personal experiences seem to point towards the opposite. If you or someone you know is skeptical about this, test the theories. You’re going to find that there is no sadness when you give to the community, even if it’s a simple gesture. Helping out doesn’t have to be involved, and it doesn’t have to be expensive. Giving of your time can be a unique, and simple way to enjoy the immense joy that comes over you. Millions of people will testify to the fact that there is a beauty and honor found in this arena. The more you test this out, the more your skepticism will drop, and the more joy you will feel. Look, there aren’t many people that regret doing acts of kindness, that’s for sure. When in doubt, test the notion out and see how beautiful life can be when you give a little of yourself. Do you want to feel happier? Then, be Kind to others and also to yourself!